Gingrich Advisor: Romney Has A "Birth Defect"
"This is guy is so at odds with the truth. There's got to be like a birth defect or something. He doesn't understand when he's not telling the truth because he says it so convincingly. I mean it's really pathological. 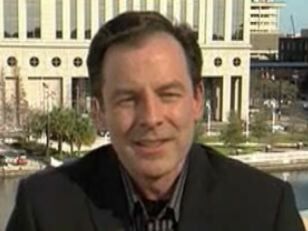 The idea that we out spent him in South Carolina is patently ridiculous," Rick Tyler of Winning Our Future, Gingrich's Super PAC, said on MSNBC today. Gingrich: "Massachusetts Liberal" Romney Has Policy Of "Carpet Bombing"